Dr. Richard B. Kahn brings an intense passion and an all encompassing commitment to the dental profession. This at least in part emanates from being the oldest child of two dentists and a third generation dentist on both sides of his family. Growing up in a true dental world, one either completely embraces dentistry or gets as far from it as possible. Everyone has benefited by Dr. Kahn choosing the former. Dr. Kahn received received a BS in Distributed Sciences from the American University before earning his DDS from Georgetown University School of Dentistry. This was followed by a general practice residency at RWJU. Dr. Kahn attributes his respect for all phase of dentistry and his understanding of his patient’s medical management to this experience. His advanced specialty training was done at Fairleigh Dickenson School of Dental Medicine in the Department of Periodontics and Oral Medicine. Dr. Kahn passed the most challenging and all encompassing testing process to become a Diplomate of the American board of Periodontology in 1989. At the time of his certification, only 10% of the periodontists word wide had achieved this highest recognized level of academic achievement in the specialty. Dr. Kahn continues to have the same thirst for knowledge today as he did at that time. Dr. Kahn is heavily involved in all facets of the dental profession. In addition to his private clinical practice, he is involved in teaching, learning and is leader in organized dentistry. He served as President of the of the New Jersey Dental Association (NJDA) from 2010-11, a position that was a continuation of over 25 years of tireless work for both the state and county dental originations. He is also Past President and former editor for the NJ Society of Periodontists. In addition, he was a twenty year member of the NJDA insurance council and was Chairman of that council. He was recognized as one of the top periodontists in the state by NJ Monthly Magazine in 2005. 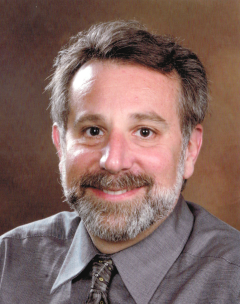 Dr. Kahn has held teaching positions at Fairleigh Dickinson University, NYU, Middlesex county college and UMDNJ and is on the Dental Staff at RWJUH providing valuable learning experience for dental students, dental residents and dental hygienists. In addition, Dr. Kahn has been an invited speaker at several major meetings. Outside interests include a passion for skiing and his physical fitness, the later is consistent with his periodontal treatment philosophy. Has been a regular distance runner for 30 years and has completed 9 marathons (New York 5, Philadelphia 4) including three years of back to back.